A full service public warehousing and distribution services provider. D&D Distribution Services is centrally located near the mid-Atlantic region's major metropolitan areas and seaports. Our prime location enhances our ability to provide local and global service to manufacturers, suppliers, transportation providers, freight forwarders and import/export firms. 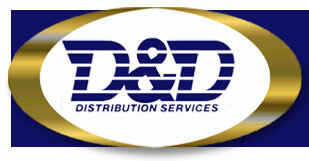 D&D Distribution Services serves customers around the globe, developing customized logistics solutions. Whether handling raw materials at the front end of the supply chain, or finished goods destined for end users, D&D Distribution Services develops flexible programs to accomplish customer's goals and save logistics dollars.